Thanks to ARKit, homeowners and apartment dwellers can visualize just about every aspect of their abodes, from furniture and decor with the IKEA Place, Houzz, and Amazon apps to new countertops with Cambria's app and retractable awnings via Markilux. 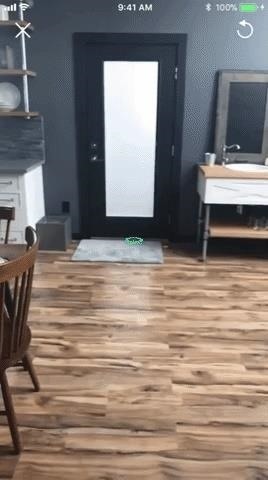 Now, that list of available AR home improvement tools includes working faucets and light fixtures via an update that brings an "In-Home Preview" feature to the Build.com app for ARKit-compatible iPhones and iPads. After scanning a countertop with the Build.com app, users can place any of 16 faucets from Delta, Hansgrohe, and Miseno that are available with the feature. 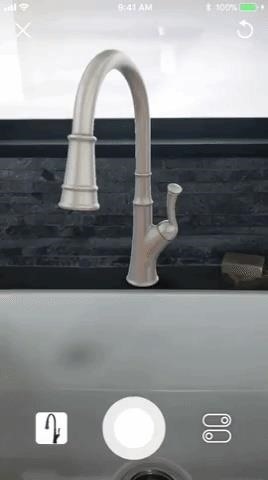 Once anchored, users can see how the faucet looks with water coming out of the spout or rotate the model to get a precise fit, and then snap a photo for future reference. 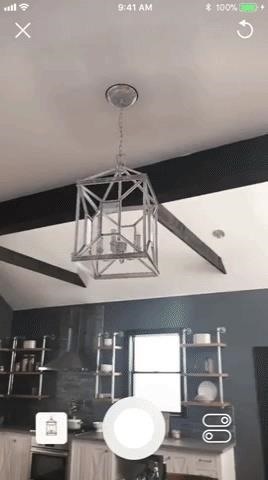 Since ARKit doesn't handle ceilings yet, the app asks users to scan the floor and then manually measure the wall in order to anchor virtual fixtures. 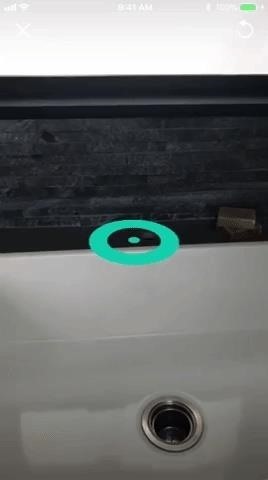 Once placed, users can also adjust the position of the fixture and virtually turn it on, with ARKit simulating the illumination and rendering shadows. The app features 18 models from Kichler, Progress Lighting, and Park Harbor. "Customers have always told us how important it is to 'touch and feel' products before making a purchase. Now, we have a way to bridge that physical world with the digital," said Dan Davis, Build.com's chief technology officer, via a company statement. While the current selection is limited, Build.com plans to increase the number of products available for In-Home Preview. Android users will have to keep their fingers crossed, as Build.com states that, for now, the company is only "considering" an ARCore update to its Android app.